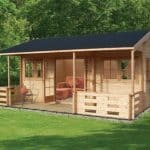 A superb summerhouse/log cabin with wide opening glazed double doors and feature, functional glazed windows. 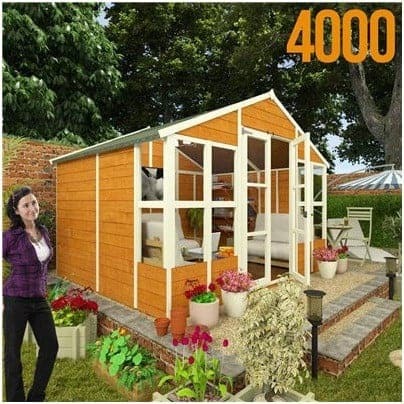 Ideal for a small garden space or if you want something compact but still with beauty. 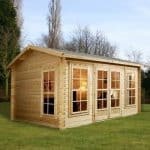 Constructed from long lasting and hard wearing wood with tongue & groove cladding for extra strength and durability this piece will stay the distance. 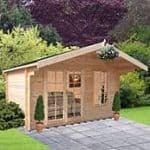 The higher grade felt on the apex roof gives this summerhouse extra weather protection and we believe this to be the ideal place for some R&R not to mention practising your favourite hobby.